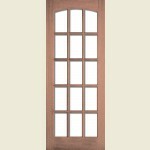 We offer a wide range of internal glazed Hardwood doors with styles and designs to compliment all types of, homes, offices, and public buildings. 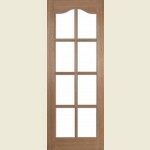 Our glazed Hardwood internal doors are generally manufactured from Meranti timber and made to the highest standards with state-of-the-art environmentally friendly manufacturing techniques using responsibly managed sustainable resources and, as such, most of our glazed hardwood doors feature engineered timber construction that makes our Hardwood doors less prone to warping twisting and shrinkage. This collection of internal Hardwood doors feature a wide range of glazing configurations in traditional designs in both imperial and metric sizes and some ranges are complimented with solid panel FD30 fire doors. 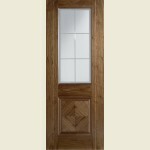 Our glazed internal Hardwood doors are catalogued by type to make them easy to navigate and consist of pre-glazed Hardwood doors and unglazed Hardwood doors ready to receive your choice of glazing. Mobility sized door options are available in all ranges to meet the requirements of Building Regulation Part M and Part R (Northern Ireland). 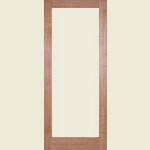 This collection of interior Hardwood glazed doors are complimented with our collection of internal Hardwood panel doors. Interior Malton Hardwood Doors Glazed & Unglazed. 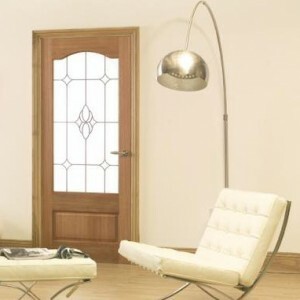 FROM ONLY £135.82! + VAT. 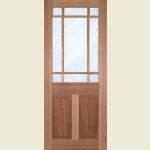 Internal Hardwood Fifteen Light SA Doors. 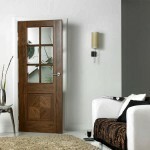 Internal Hardwood Fifteen Light Swepthead SA Doors. 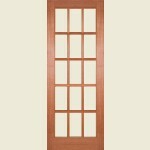 Internal Hardwood Pattern Ten Doors. 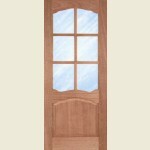 Clear Glazed Eight Light Hamlet Doors. 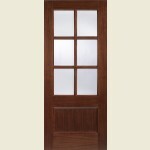 Riviera Six Light Glazed Doors. RANGE RELAUNCH! INTRODUCTORY OFFER FROM ONLY £179.99! 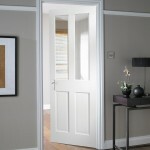 Downham Nine Light Glazed Doors.